2. According to customer's actual samples/colors artwork, size, style, material and ordered quantity for quoting. 1. Kettle bag. 2. Nylon bag: W 29.0 x H 45.0 (cm). 3. Waistband bag: W 16.0 x H 21.0 (cm). 4. Small Hand bag: Dia.12.0 x H 20.0 (cm). 5. Wallet: W 14.0 x H 19.0 (cm). 6. Kettle bag: Dia.9.0 x H 32.0 (cm). 7. Kettle bag: Dia.8.5 x H 19.0 (cm). 8. Waistband bag: W 31.0 x H 12.0 (cm). 9. 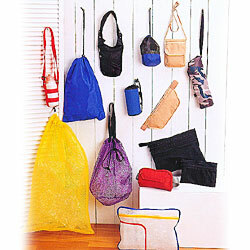 Net bag: W 50.0 x H 80.0 (cm). 10. Net hand bag: W 27.0 x W 20.0 x H 42.0 (cm). 11. K-B. nylon hand bag: W 32.0 x H 23.0 (cm). 12. K-S. nylon hand bag: W 23.0 x H 15.0 (cm). 13. Waistband bag: W 21.5 x W 2.5 x H 12.5 (cm). 14. Net bag: W 39.0 x H 28.0 (cm).